The most interesting innovations are found where disciplines, industries, and cultures intersect—where intelligent machines edit human writers, drones plant trees, and cloud computing accelerates the transformation of healthcare, for example. 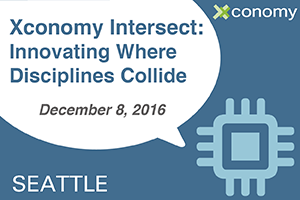 Xconomy is excited to announce our upcoming Seattle event, an exploration of the crossroads from which the next world-changing ideas may emerge. Join us Thursday, Dec. 8, for an afternoon of intriguing conversations with top investors, hot startup CEOs, a political historian, a prominent science fiction author, and many more. These innovation leaders are remixing the Pacific Northwest’s expertise in software, mobile, commerce, and agriculture, with the goal of tackling some of the world’s biggest challenges and business opportunities. —Hans Tung, a venture capital investor at GGV Capital ranked No. 21 on the latest Forbes Midas List, has had a particular knack for picking winners in mobile commerce, both in the U.S. and China. He’s on the boards of companies with three of the top six iOS shopping apps in the App Store: Wish, Poshmark, and Bellevue, WA-based OfferUp, which is reinventing local buying and selling for a mobile generation. Tung will join OfferUp co-founder and CEO Nick Huzar—and recent hire Peter Wilson, most recently engineering and site director at Google in Kirkland, WA—for a wide-ranging chat on disruptive companies and technologies. —Rajeev Singh knows what it takes to build multibillion-dollar technology businesses. The co-founder of Concur, which was sold to SAP in 2014 for $8.3 billion, is now at the helm of Accolade, a healthcare IT company that recently raised $70 million and has established a new headquarters in Seattle to tap the region’s cloud computing expertise. Singh will join Madrona Venture Group managing director Matt McIlwain to help us understand how Seattle’s technology pedigree can be leveraged to transform healthcare. Both Singh and McIlwain are on the board of Apptio, which was the second Madrona portfolio company to go public this year. 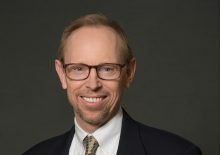 McIlwain, who appeared on the Midas List in 2008, 2009, and 2011, also led the firm’s investment in Turi, the machine learning company acquired by Apple. —Kieran Snyder, co-founder and CEO of Textio, is at the forefront of natural language understanding and computational linguistics. Her Seattle-based startup uses machine intelligence to improve writing in the context of job postings and recruiting e-mails, helping companies make quality hires faster. Snyder will converse with Greg Bear, the prolific Seattle-based sci-fi author, on what it means to be a human writer in the age of intelligent, and increasingly creative, machines. —Margaret O’Mara, an associate professor of history at University of Washington, who focuses on the connections between politics and the technology industry, will help us unpack the outcome of the election and what it may mean for the innovation economy. Her latest book, Pivotal Tuesdays, connects the elections of 1912, 1932, 1968, and 1992 to the evolution of the economy. 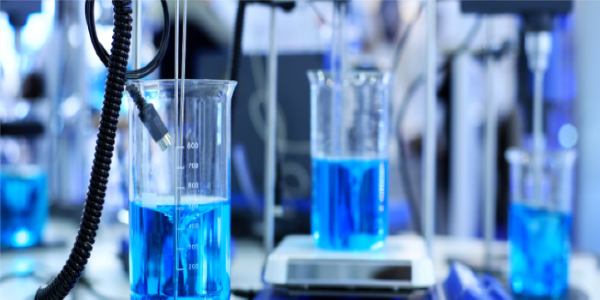 —We’ll hear from leaders in the complex business of technology transfer—the ones tasked with creating those productive intersections among researchers, innovators, entrepreneurs, and investors. Vikram Jandhyala, vice president for innovation strategy at University of Washington, joins Paul Levins, executive vice president and head of global partnerships at Xinova, and Rosemarie Truman, the new director of innovation impact at Pacific Northwest National Laboratory. Khot with a drone at a Washington vineyard. —Get ready to dive into the many ways technology is reinventing traditional Northwest industries such as agriculture and forestry with Lav Khot, a Washington State University associate professor deploying drones in vineyards; Grant Canary, co-founder and CEO of DroneSeed, which is putting them to work for the timber industry; and Virginia Emery, an entomologist and CEO of Seattle startup BetaHatch, who is betting that insects may be the future of farming. We will have more details, including a full agenda, in the coming weeks. But don’t wait to reserve your spot. Seating is limited at our South Lake Union venue, 415 Westlake, and the best deals can be had now. We’re offering a steep early-bird discount and a small number of reduced-price tickets for startups and students. We look forward to seeing you there Dec. 8!